Providing mental health and positive youth development services that assist children, young people. 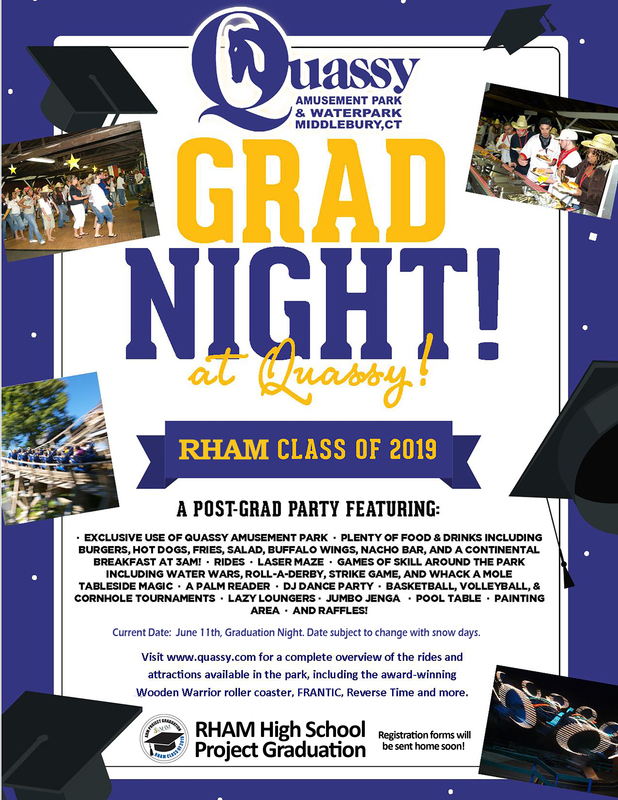 Project Graduation is an all-night, alcohol and drug-free party for graduating RHAM seniors. 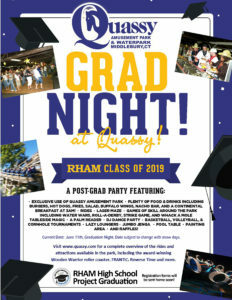 It is held on the night of graduation. 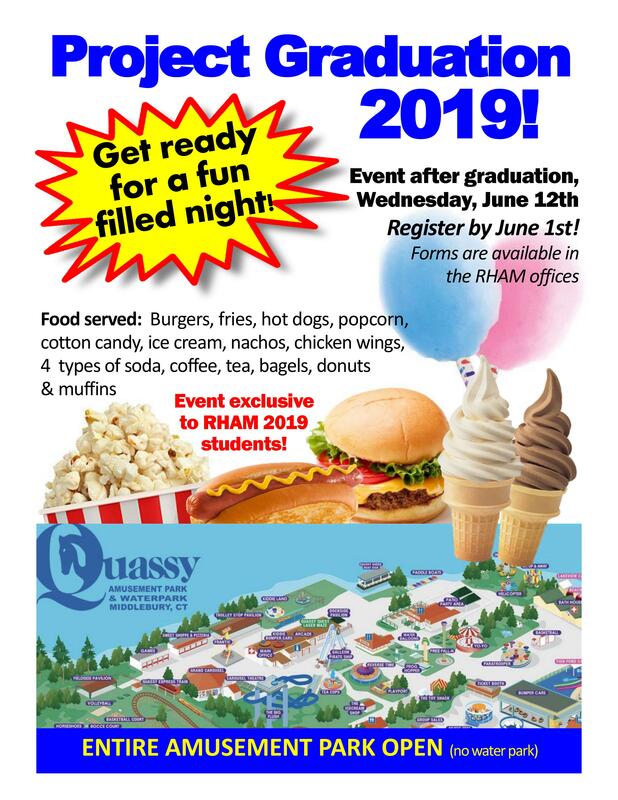 The goal of this AHM sponsored event is a simple one; let young people spend their last moments together as a graduating class without the temptations or dangers associated with the use of drugs or alcohol. For more information on this special night, please contact Brendan Grimm at 860-228-9488 or at BrendanG@ahmyouth.org. 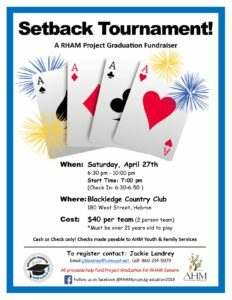 Join us for a Setback Tournament at Blackledge Country Club to help fund our RHAM Seniors. All participants must be 21 or older to play. The tournament will go from 6:30 – 10:00 PM with check in between 6:30 – 6:50 PM and a tournament start at 7:00 PM. Registration is required and the cost is $40.00 per team (2 person team). To register, please contact Jackie Landrey at jdlandrey@comcast.net or at 860-214-5079. Please take a look at our flyer for more information. 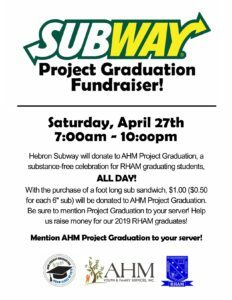 The Hebron Subway will donate $1.00 with each purchase of a foot long sub sandwich and $0.50 for each 6″ sub sandwich all day. 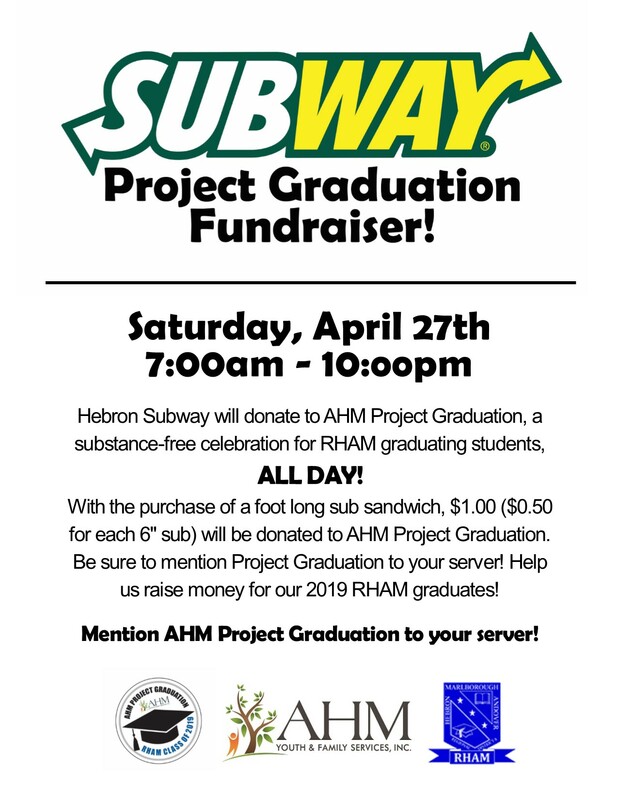 Be sure to mention project graduation to your server! 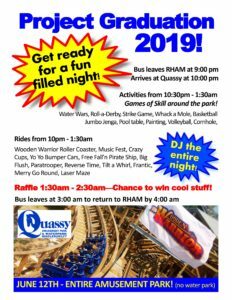 Help us raise money for our 2019 RHAM graduates. Please take a look at our flyer for more information. 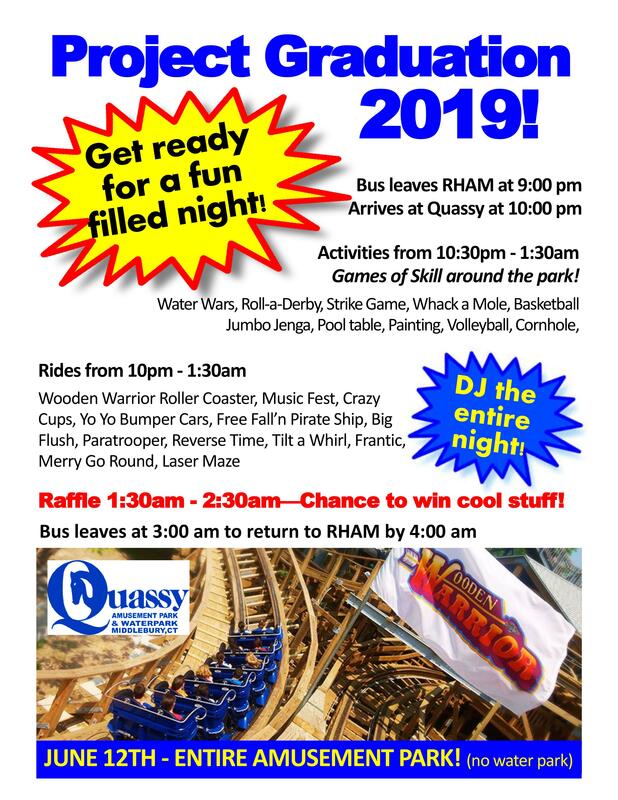 This year’s Project Graduation will be held at Quassy Amusement Park and Water Park in Middlebury, CT. Below are some important forms and more information on our special night. 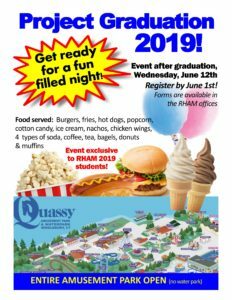 Project Graduation is $85.00 per student and includes transportation, unlimited food, access to the amusement park for the night and a RHAM graduate lawn sign. Please note that no student is excluded for financial reasons. Please be sure to call our office at 860-228-9488 and speak to Nella Stelzner if your family is having financial difficulty.